Kids 17 and under zip for 50% off. 1 per paying adult. Experience Haleakala while zipping at 45 MPH! Zip down the slopes of Haleakala! Experience an Indiana Jones style swinging bridge and 5 amazing zip lines that will send you across massive canyons, above 90-foot drops, and through fragrant eucalyptus trees on the slopes of Haleakala. Noted as the first commercial zip line tour operator in the country, we have been operating on the expansive volcanic and sub-tropical rainforest landscapes of Haleakala National Park since 2002. Built for an hour and a half tour, five individual ziplines careen down the world's largest resting volcano as you hover over canyons and 90 foot drops. 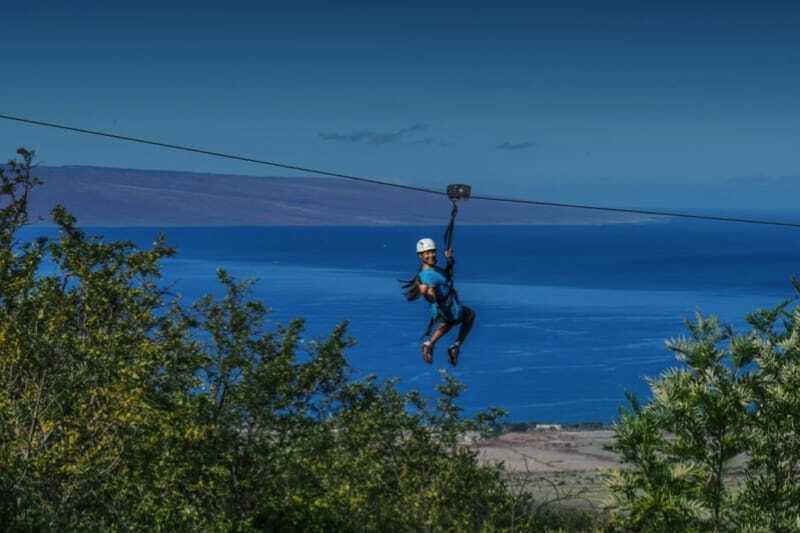 The course has a few highlights which include the panic-inducing swinging bridge and Maui's only "Pendulum" zip line, where riders zip forwards and backward, reaching speeds up to 45 miles per hour. 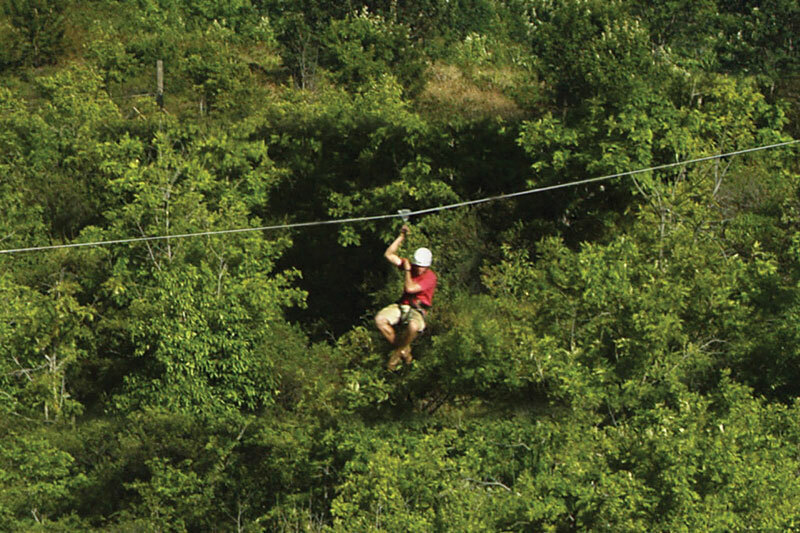 Soar over 90-foot drops and canyons filled with fragrant eucalyptus trees. Swing on Hawaii's only pendulum line reaching speeds over 45 mph. Experience an Indiana Jones style swinging bridge high above a canyon. Zip-line on the 1st zip-line tour built in the U.S, founded on the slopes of Haleakala in 2002. Learn about Hawaii's flora, fauna and culture on Maui's favorite Eco-Tour as your guides lead you through the Haleakala Forest. 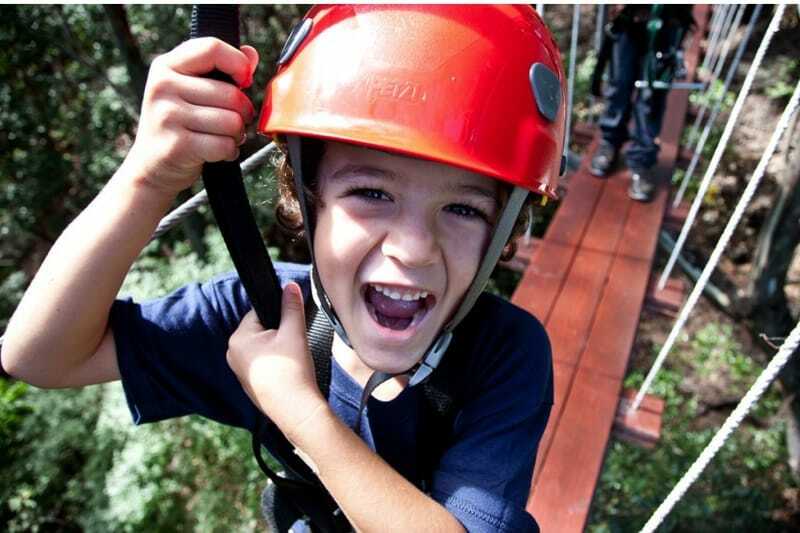 Line 1: After a short hike through a forest of eucalyptus trees, you'll arrive at the first zip line. Your expert guides will help you clip in, and then off you go sailing over a massive ravine more than 50 feet below you're dangling feet. Ten seconds later, you'll gracefully land on the platform more than 150 feet from your starting point. The lines get faster, and longer from this point forward! This was one of the highlights of the trip! There are 5 ZIP lines with short hikes between them. This is an eco tour so the guides provide information on wildlife and plants at each stop. And our guides were AMAZING. Jesse and PJ really made the adventure fun. Their insights, humor and focus on safety were outstanding! When we come back, we will definitely make this one a must on our itinerary! Thanks Zip line and especially Jesse and PJ!!!!! We took our family of 5 on the Haleakala ziplins course and had a fantastic time. Our two guides were awesome.... friendly, personable, funny, and gave us lots of great info about Hawaiian culture, geography, and wildlife during the tour. The lines were set up in beautiful locations and the final line on the course was an incredible adrenaline rush! Had a fantastic time and would highly recommend this experience for any adventurous groups!